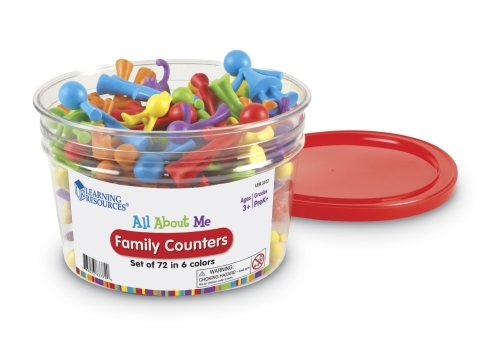 A family of manipulatives to help children learn about themselves! Meet a real multi-tasking family of manipulatives! Young children can learn all about themselves and their families. Also great for counting, sorting and patterning. Includes 72 counters in six different shapes and colours, representing the people and pets in families. Tallest figure measures 63 mm H.